During the course of the week 7-personnel participated in a Hazardous Materials Technician certification class presented by TEEX and hosted by the department. This course included class room and extensive hands on skills. 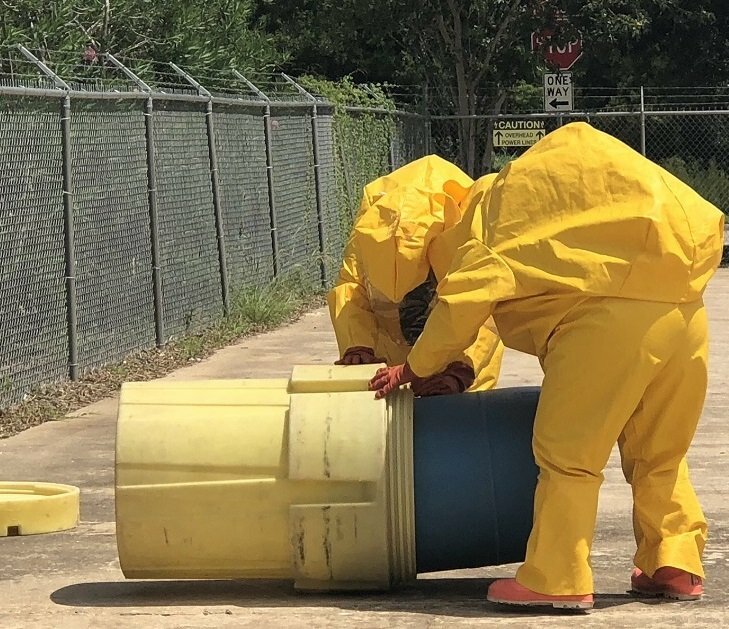 The 28-students in the class donned Level A suits and practiced over packing drums, performing decon and other required skills, all in the oppressive summer Texas heat.